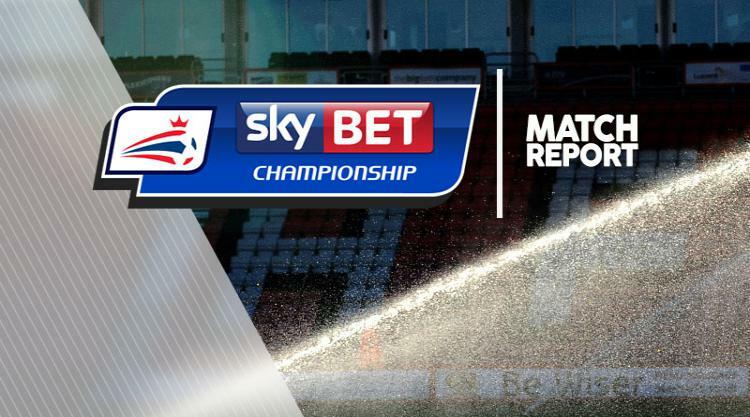 Bolton 3-2 Rotherham: Match Report - view commentary, squad, and statistics of the game as it happened. Joe Mason left his mark on Rotherham's defence with a second-half hat-trick to give under-fire manager Dougie Freedman a first Sky Bet Championship victory of the campaign. The on-loan Cardiff marksman completed his treble with an 84th minute winner to secure a 3-2 triumph after super-sub Jordan Bowery threatened to become United's late saviour for a second time in four days. Mason's hat-trick was a first by a Wanderers player since German Fredi Bobic in April 2002. More importantly it has earned Freedman welcome respite after his team's dismal start to the campaign. Mason's second 10 minutes from time appeared to wrap up Bolton's first league win since April 12 only for Bowery, a 77th minute replacement, to tie the scores at 2-2. But two minutes later Mason struck once more to finally settle the contest as Alex Revell's stoppage-time goal was disallowed for offside. The frantic finale was not in keeping with much of what had gone before. Wanderers made an encouraging start to this first league meeting between the teams since March 1993. Mason had a goal-bound shot blocked by Joe Skarz while Neil Danns, one of three changes to the starting line-up from last Saturday's 0-0 draw with Sheffield Wednesday, also tried his luck from distance. It helped pacify restless home supporters, with some unfurling a 'Freedman Out' banner before kick-off such is the general absence of goodwill towards their manager. Generally though there was a dearth of goalmouth action with on loan Anthony Wordsworth managing a tame first Millers' shot on target. But it briefly awakened the resident Macron Stadium bat that had gone back to roost when the Ipswich Town midfielder fired the visitors in front after 28 minutes. Wordsworth curled in a superb left-footed free-kick from 20 yards after Matt Mills upended Luciano Becchio despite home protests of an Argentinian dive. Mason and United States international Tim Ream threatened to lighten the mood when the match restarted but keeper Adam Collin saved both low drives. Rotherham though could have sealed victory after 55 minutes as Paul Taylor smacked a shot against an upright with Andy Lonergan well beaten. And four minutes later, after a Wanderers double substitution, Mason drilled in a right-foot shot from the edge of the area for an unlikely equaliser - Bolton's first goal in 285 minutes of Championship action. Wanderers were finally in the ascendancy and Frazer Richardson tested Collin's reflexes as he almost steered a Lee Chung-yong cross into his own net. Mason made it three for the season to put Bolton in front only for Bowery - Rotherham's last-gasp hero at Bournemouth - to strike. However, Mason was not finished and could have ended the game with five as Wanderers held on despite frantic Rotherham pressure.